When I first started running, I wore polyester basketball shorts, a cotton t-shirt and a sports bra from the juniors section at Walmart. It was your basic P.E. uniform – the same thing I wore to softball practice or when I rode my bike to the Texaco gas station on the corner of Bell and Clarmar, to buy Bubble Tape. A pure and uncomplicated getup that was a little too big, it was for the most part comprised of hand-me-downs. It wasn’t great, but it got me through many formative miles on the sidewalks of Fremont, NE. I started running before the days of specialty running shops in every town, athleisure and coordinating workout separates. I started running not long after Oprah completed a marathon, but before the recreational running boom she helped launch, took hold. I started running before running was cool (insert hipster meme here) and before social media allowed you to document, share and receive affirmation for every training run and themed 5k you completed. Running wasn’t always so popular, and running apparel used to be much less complicated. Now don’t get me wrong. While my “early adopter” status is a source of pride, I’m grateful and indebted to the growing popularity of running. In the same way that youth soccer undergirds the success of professional soccer in the United States, the top echelon of the running world benefit in talent and money from the sport’s growth among the masses. Sure, those clothes from my early days of running were inferior to the engineered fabrics and flattering fits of today’s athletic wear. But they were also pure and easy, simple and functional. They served the purpose for which they were employed – to help me train hard and run fast. By the time I entered high school and became more competitive in the sport, my mom and I would make the 90 minute round trip trek into Omaha at the beginning of each track and cross country season to buy my training shoes and spikes at a specialty running store. That store was my first glimpse into a running culture and the gear and clothing designed specifically for people like me – people who love to run. During one of my first trips to that running store, I pulled a pair of billowy shorts off the rack. They were covered in neon geometric shapes, and I was confused to find that they had built-in underwear. Why would you want that?! – I remember thinking. So odd. 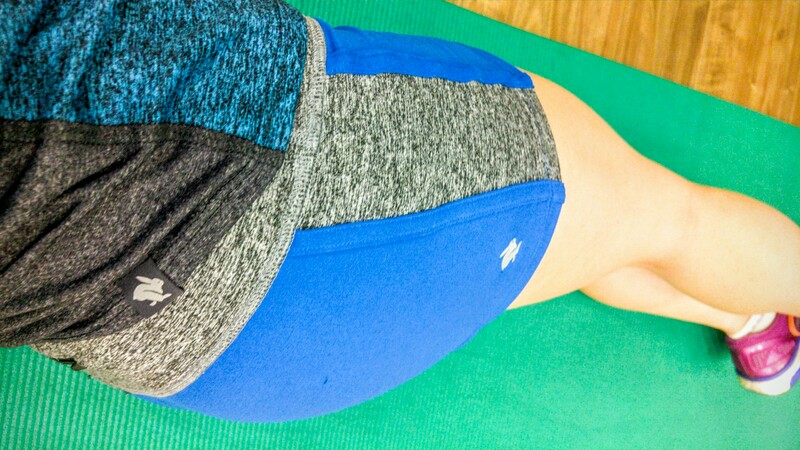 Upon discovering that every pair of running shorts in the store had that same feature, I deduced that built-in underwear was a runner thing – a special thing that real, serious runners liked. That day, I convinced my mom to buy me those bright, billowy shorts. I wore them through college, until the elastic wore out. And in time, I discovered that there is a real benefit to lined shorts. I also learned how certain styles and fits of running clothing help me do what I love, easier and better. Fabrics that don’t sag or chafe, colors that don’t fade, materials that wick away moisture but don’t hold onto smells, and clothes that keep me cool or hot, depending on which I prefer. – This is what I look for in running clothing. I want simple, effective clothes that I can put on and forget about. I want clothes that allow me to do what I love, well. But let’s be honest, I also appreciate the popularity – no dominance – of activewear. I love me some good Lululemon yoga pants, and I’m scared to join Fabletics for fear that I’d spend way too much money on their comfortable-yet-cute clothing (that can be worn to both happy hour and the gym!). And there’s no shame in admitting that really wish I was cool enough to sport Beyonce’s new Ivy Park line, specifically this number. Activewear is great. Athleisure is wonderful. But when it comes to running, I prefer simple and functional. I also prefer running clothes that allow me to easily transition from running to side-planking. 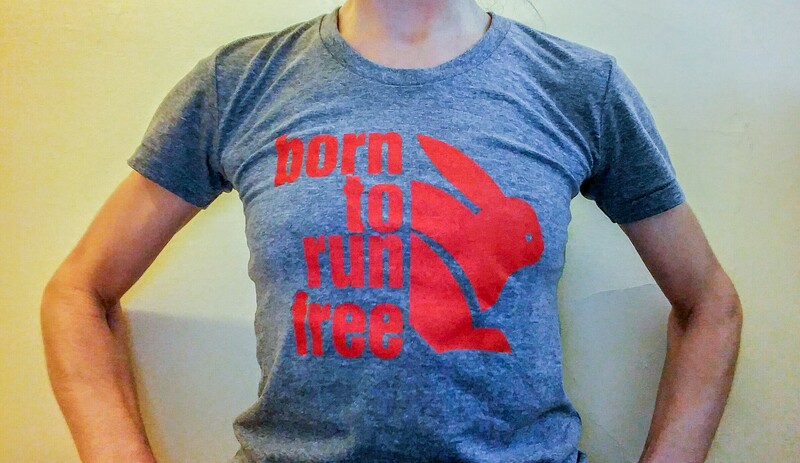 Shortly before the Olympic Trials, I was contacted through Instagram by brand new running apparel company – rabbit. Their product wasn’t even in stores yet, but they were hoping to get a few athletes who were running in the Trials, to wear their racing kit. I chatted on the phone Monica, one of the founders of rabbit, to learn more about the company and what they are doing. 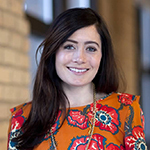 She told me that she and her co-founder Jill started rabbit after growing tired of athleticwear that was complicated and impractical. They wanted to create running clothes that were simple and made for one purpose – running. Ok. I can get behind that, I thought. I told Monica to send me their racing kit and if I liked it, I’d wear it at the Trials. The quality of the rabbit uniform she sent me, was high. It was soft and well-cut, stretchy but structured. I liked it. You’ll remember that Olympic Trials was a tough, hot and emotion-filled experience. So much went through my mind during that long 26.2 mile race, but one thing I didn’t think about was my uniform. I dumped 16oz of water over my head and body every 3 miles, and I didn’t once adjust my shorts. I finished the race without chafing, and my singlet dried out, shortly after I finished. A company whose mission and values I respect, and whose product is top-notch – I was sold. I’ll admit that in recent years, I’ve been reluctant to associate myself and my running with a brand. Running is an extremely personal and important thing to me. I don’t want to feel that my passion is beholden to a company that treats me as a walking – or running – billboard. 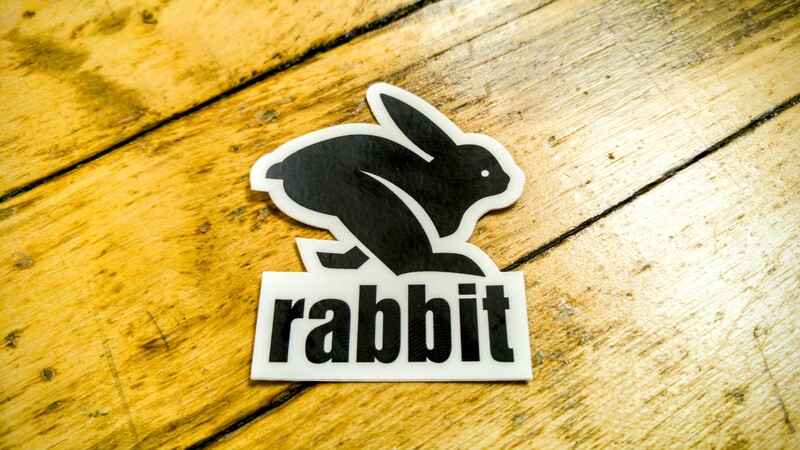 With rabbit, I’m comfortable and confident in what they stand for, and what they are trying do. They know me and want to support me, and their clothes are so fricking awesome. And so, last month I signed a contract and am officially a rabbit – a RADrabbit. I’m excited about this. I think it could be something pretty great. 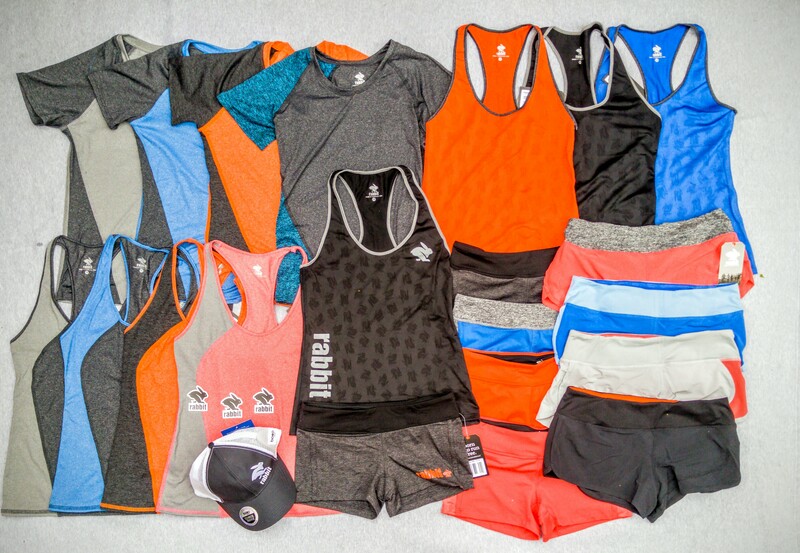 If you want to learn more about rabbit, and order their awesome running gear, check out their website, www.runinrabbit.com. Did I mention that all of their clothes are made in the U.S.A? Also, Rabbit is committed to supporting running specialty stores – places like the shop where I first discovered lined shorts and running culture. They believe that these stores serve runners, and are the anchors of the running community in each town, and I agree. I think rabbit is pretty awesome, and I’m excited to be a part of what they’re trying to do. Stay tuned. Congrats on your ew endeavor, Lisa. My dog would love to catch a rabbit—maybe I should outfit him with those Rabbit togs? This is incredibly awesome news. Congrats! Would your “not as toned as she once was and only gets out for a couple of runs a week” friend feel comfortable wearing one of these sleek ensembles? Oh Lisa this is such a sweet side benifit to your years of living the Dream. I am so happy for you and your offer. 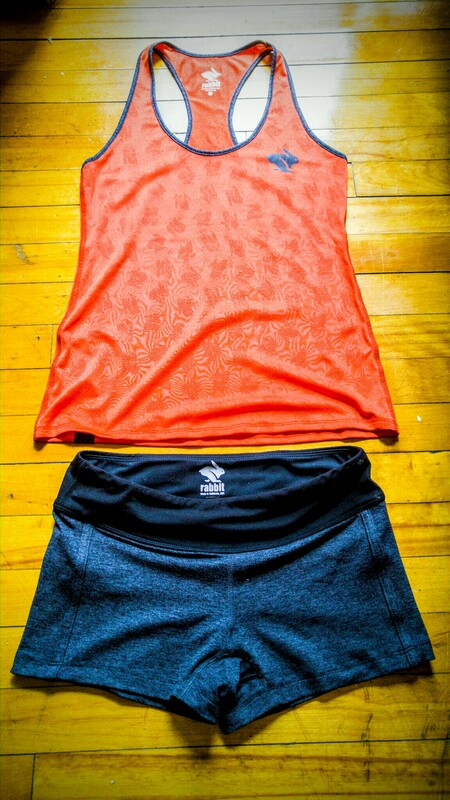 You are a perfect choice for a running apparel company. Makes me want to be a runner.